On Thursday, June 21, sport and event representatives from the Okanagan met together for the first time at Tourism Kelowna&apos;s office. 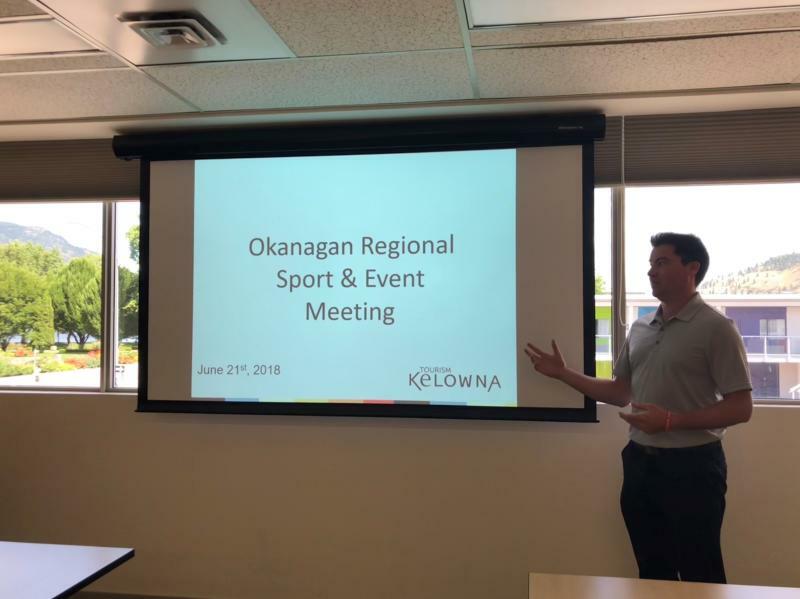 Representatives from the City of Kelowna, District of West Kelowna, City of Kamloops, City of Penticton, and Tourism Kelowna gathered to discuss the current climate of sports and events in the region, including opportunities and available resources. Opportunities to market the Okanagan as a premier sport and event destination. Best practices for bidding, securing, and servicing events. Current challenges to hosting events in the Okanagan. Representation of the Okanagan at a provincial level. If you have any questions about Tourism Kelowna&apos;s Sport and Event department, please reach out to Sport and Event Sales Manager, Harvey Hubball, at harvey@tourismkelowna.com or by calling (250) 861-1515 ext 209.